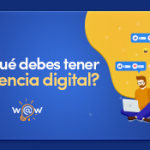 W@W is a digital marketing agency [powered by Puerto Rico Computer Services, a family company established in 1973] specialized in web development, social media management, SEO & SEM. Our team come from different marketing, advertising, design and technology backgrounds that have united to offer the right digital marketing solutions to our clients. Our team helps businesses expose their products and services to the right audience and create conversions. We work hand in hand with our clients to understand their needs and goals, offering digital marketing solutions focused on generating revenue using strategy and creative design. The Children’s Museum of Carolina in Puerto Rico is dedicated to creating and tailoring interactive learning experiences for children of all ages. The museum includes different types of hands-on exhibits that help children learn all about biology, space, music, arts, history, nature, among others. 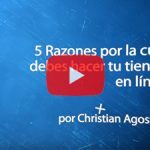 W@W created a website for Táyna Rivera, a life coach and motivational speaker that holds a workshop titled “Lo Mejor de Ti”. This workshop is designed for participants to self-analysis and improvement as well as obtain the necessary techniques to help them create the best version of their thinking, decision-making, and action processes. VR Distributing is a local company established in 1989 dedicated to the sales and distribution of high pressured laminates, solid surface countertops and other materials to renovate kitchen, bath or office surfaces. (We were going to keep it a secret, but sooner or later, you will find out!) Take a look at how we work our digital marketing efforts.